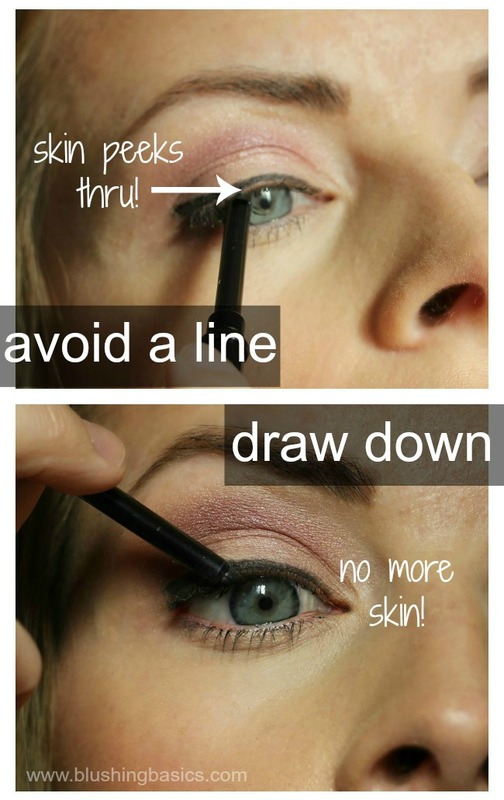 here are some basic tips to help you apply your pencil eyeliner with precision! i tend to avoid pencil liners as i like the preciseness that liquid liner gives you, however occasionally i step outside my usual routine and use some pencil action. the great thing about pencils is that you have so much versatility with application. you can apply as thick or thin as you like - combine that with a little smudging and you can create all sorts of eyeshadow shapes. liquid eyeliner isn't as friendly with mistakes or blending. 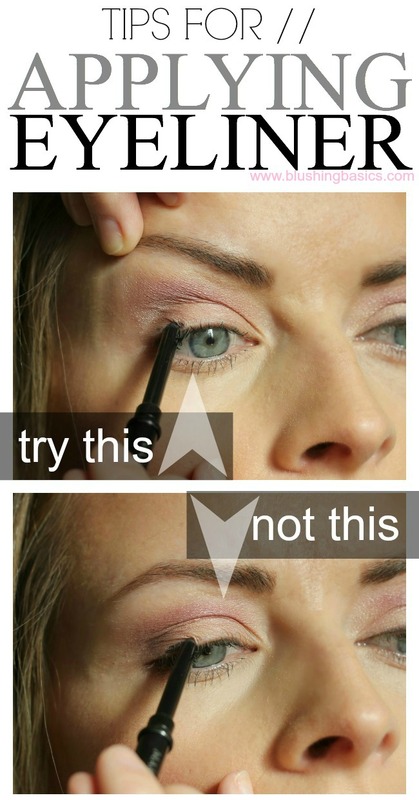 hold up eyebrow while applying. holding your eyebrow makes your eyelid skin taught, allowing pencil a smoother canvas to draw on. i sometimes cringe when i look in the mirror and see i've skipped that strip of skin directly above my lash line. usually it's not bad but if you apply in a hurry, that strip of skin looks like Moses parted the Red Sea. take a quick second to draw downwards to ensure that no skin peeks through. if you are going for drama then leave your pencil line as is, but more often than not a smudged pencil line looks more flattering. it blends the eyeliner into your shadow and looks like a more savvy makeup application. if you have any additional tips for pencil eyeliner application, i would love to hear. pin this image to see all tips in one place!